Search your deck for any ducks. 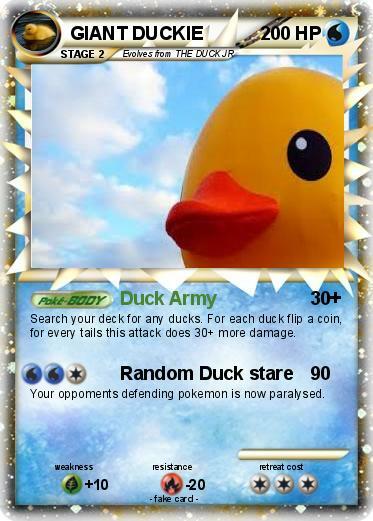 For each duck flip a coin, for every tails this attack does 30+ more damage. Your oppoments defending pokemon is now paralysed.